Hope you had a wonderful Mother’s Day weekend celebrating all the wonderful mother’s in your life! I know my family spoiled me so much! We spent most of the day just hanging out after church. We had some delicious food from Cafe Rio and I collected some precious handmade gifts, flowers and gift cards. During the weekend I also finished up my first DecoArt project! 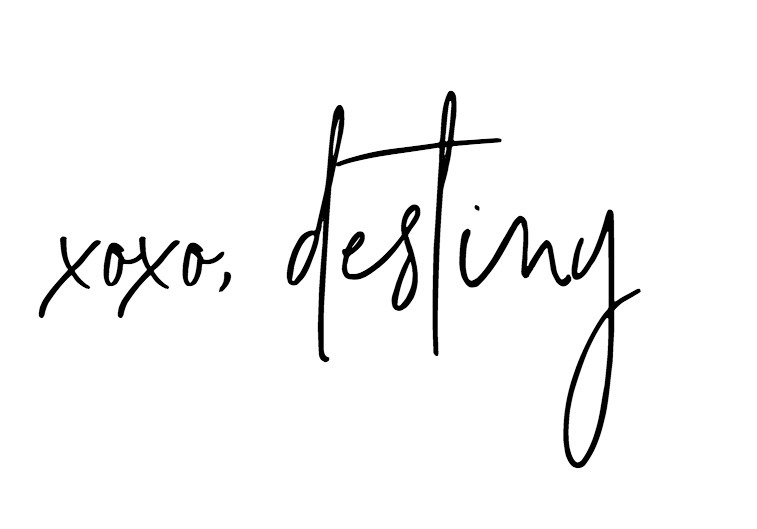 If you guys don’t know, this year I was invited to be apart of the DecoArt Core Blogger program. So that means each month for the next year you will see a new project from me highlighting their wonderful products! Some, I’m guessing you already use! 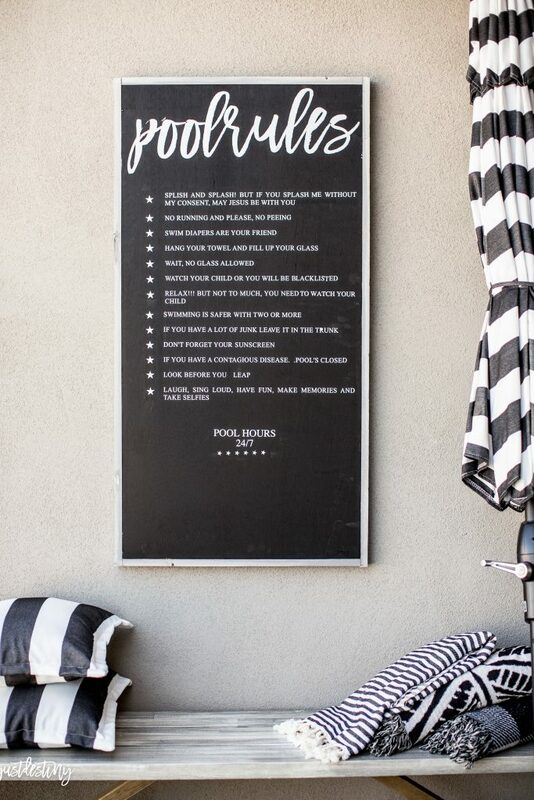 To kick things off I decided to make a fun pool rules sign for the backyard using DecoArt’s Americana Outdoor Living line of paints! Check out the step by step below. First I use a custom size piece of MDF and wood strips to to frame it. This means this sign can be as big or as small as you like! Then I painted the entire MDF board using the Americana Outdoor Living, in black . It’s a beautiful rich color that covers very well! 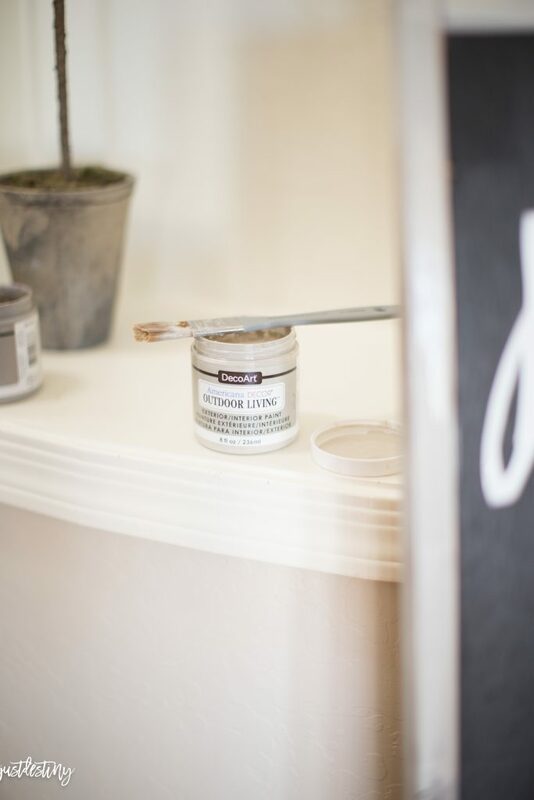 Use a paint brush or roller for a smooth application. After I let that dry I applied the letters using my cutting machine and outdoor grade vinyl. 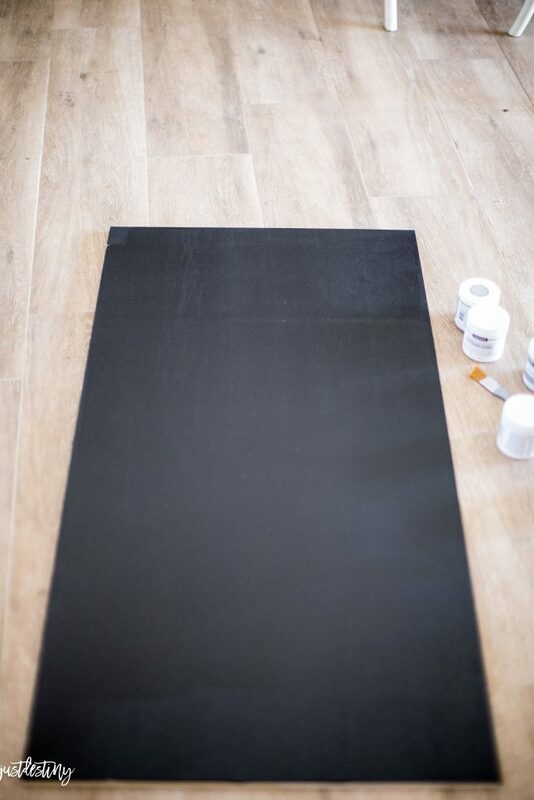 This step is a project in itself, so if you aren’t familiar with how to cut vinyl check out some tutorials online or order a custom cut from Etsy! 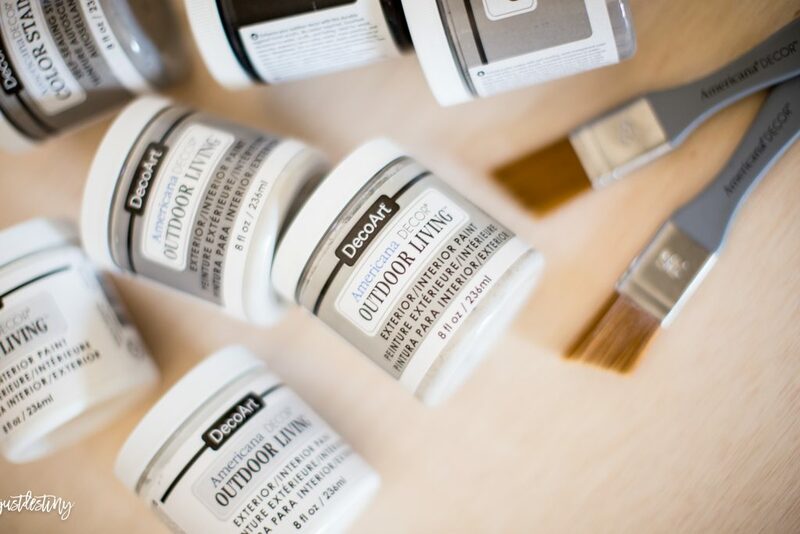 After I applied the vinyl, I used DecoArts new line of weather -resistant color stain in gray and applied it to the strips of wood. I love the way it really acts more like a stain than a paint. I ended up with a slightly distressed look by applying light strokes of Outdoor Living in gray, on top! The effect was perfect. Then I attached the painted wood strips to the MDF using a nail gun with small finishing nails. So cute right! 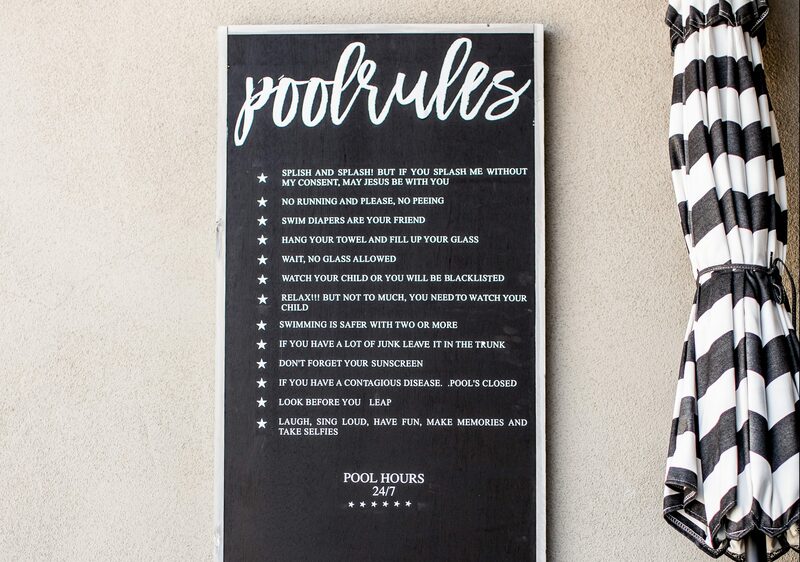 Now we have a funny way to point our guest to the pool and let them know the rules at the same time! I love it! Thanks DecoArt for this month’s project! 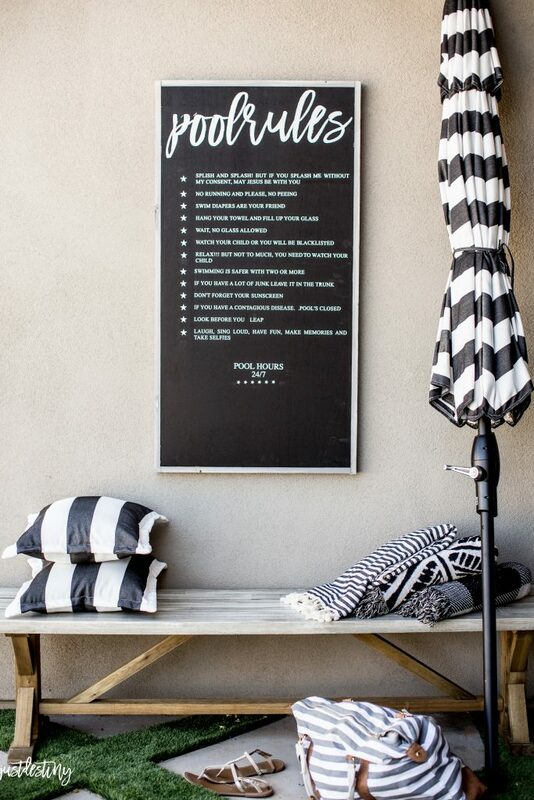 Hope you find some inspiration for next DIY outdoor project too! This sign is so cute. 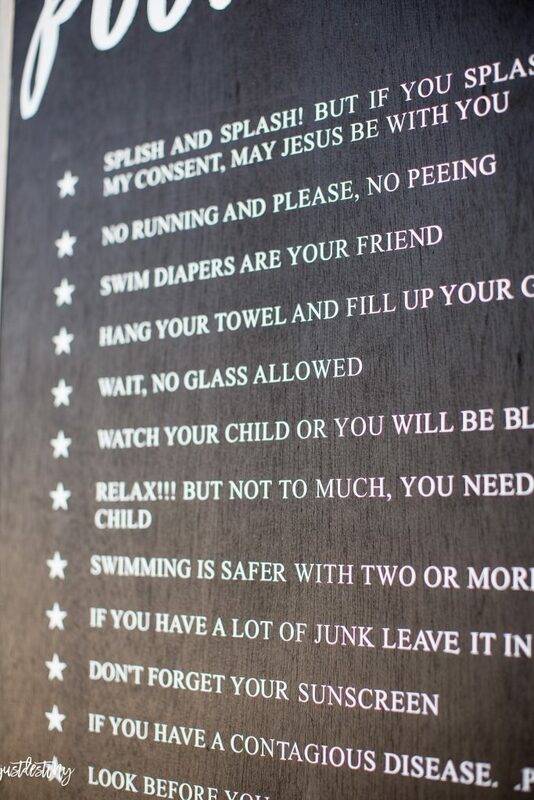 I was cracking up at some of your rules. Too funny. 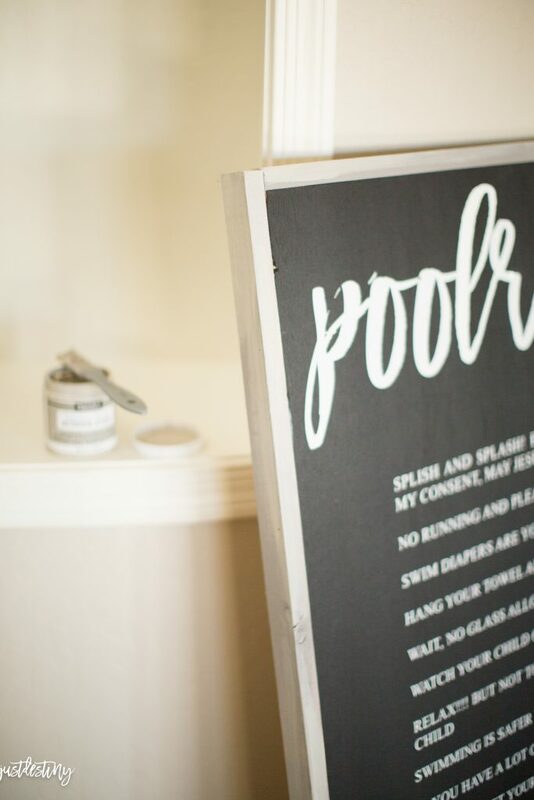 I’m heading over now to check out the vinyl letter cutting tool post you have up, but I wanted to be sure to leave you a comment first. I hope you have a blessed day forward. Cute sign, but I thought you might want to know that “to” is misspelled in: “Relax!!! But not “to” much. (It should be “too” much. I know you put a lot of work into this sign, but I thought you might want to try and correct the misspelling. It would be nice if this would be available in a stencil. I would love to do it! I LOVE THIS…thanks for posting…I’m going to make one for sure!